What’s up with men’s pink swim shorts? For long, men haven’t had much to choose from when going to the beach. Mostly plain straight swim shorts or trunks. At the same time, beach fashion for women seem ever so popular with everything from colorful swimsuits to perfectly designed bikinis. But lately that’s begun to change little by little. You now see fashion and swimwear brands putting a little more of a design touch to mens swimwear. And you also see guys going for more designer shorts. For the last couple of years men have been going for more and more prints and patterns when shopping for swim shorts. This is a trend that we only see more of every year. This year we see the next trend, men’s pink swim shorts. 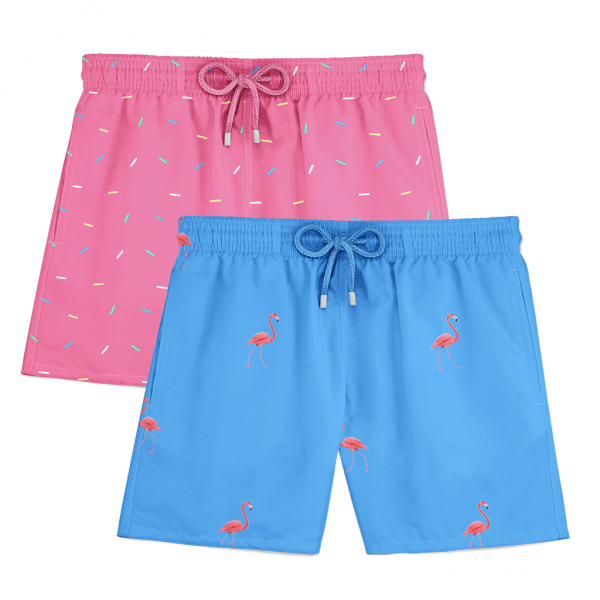 Guys who dare to stand out and have an outgoing personality are now going for pink swim shorts when spending the day at the beach or the hotel pool. 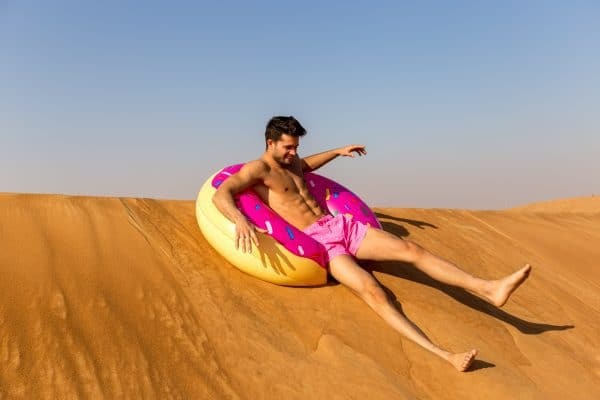 We see the trend starting at major cities around the world and are sure this will be the next big thing for men at the beach. What do people think of the trend? When asking people at South Beach, Miami, about what they think of men’s pink swim shorts most men says that the think its cool but they are not sure if they could pull it off themselves. However, they say that they definitely would consider going for a pink pair of shorts next time they are going shopping. The guys we found wearing pink swim shorts at the beach said it’s a no-brainer, ”just go for it” two guys says as they are opening a bottle of champagne. We follow the latest fashion trends in general and this is our absolute favorite this year, they said. And what does the girls say? They love it! We didin’t find a single woman that wasn’t a fan of the trend. ”I’ve seen it in Miami all summer and I’m sure it’ll be on beaches all over the world next summer” said Amanda. ”Just look at them” she adds, pointing to a group of guys playing volleyball, ”it’s a fresh and very summer looking”. 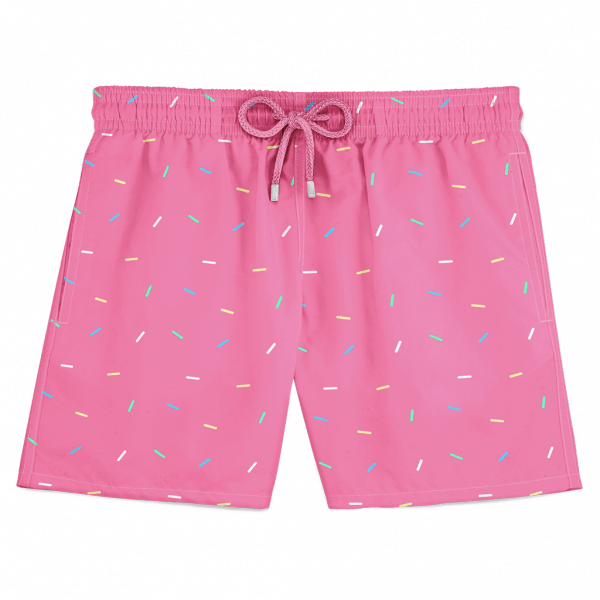 The most popular of men’s pink swim shorts are the sprinkles or donut design, a continued pattern on a pink background. Inspiration comes from the popular inflatable donut ring that’s been seen on Instagram for a while now. It’s everything we love about the inflatable ring put on a pair of shorts. Another very popular design is the abstract pink patterns. This could be either hard edged lines or softer could-like designs. When shopping for pink swim shorts there’s a few things you need to have in mind. First of all it’s a fine line between stylish and too much and playful and childish. Of course the shorts will make you stand our and be visually loud. But you still don’t want to look like a man-child with no style. The sprinkles design is a great example of a design that’s playful and not too much. While going for pink mini pigs might be considered a little childish. Make sure you find a pair of shorts with high comfort. After all you will probably use them the whole day. You want to be able to both go have lunch in between you volleyball games and do backflips from the cliffs. Therefore you need a pair of shorts with a smooth inner mesh that brings you the comfort you need for a full day. Make sure it’s at least as soft as you regular underwear and not too tight. These days most men use their swim shorts the whole day, not just when swimming. Therefore you need to make sure that you get a pair of shorts that is suitable for every occasion; the bar, pool and beach club. Is there a more iconic summer symbol as the flamingo? The beautiful and luxurious bird. The pink flamingo and swim shorts goes hand in hand. 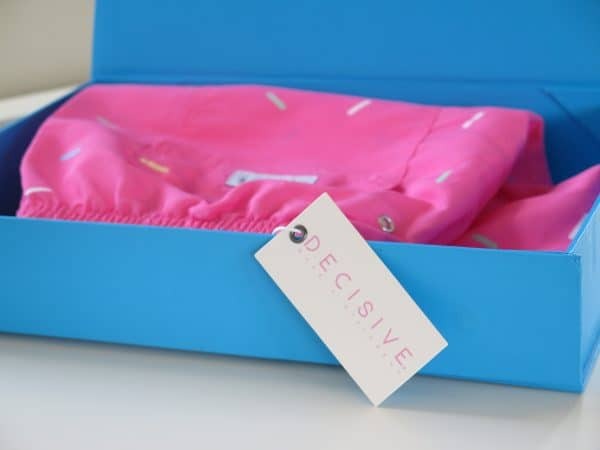 Either find yourself a pair of swim shorts with a pink pattern, like the sprinkles, or a different color swim shorts with flamingo prints. Both of these will bring you all the attention at the pool party. What does the people in fashion say? They’re also convinced that this is the hottest trend right now. Most people that we talked to at GQ and Esquire said that it’s a huge new trend for 2018 and will be everywhere 2019. It’s easy to see how this trend started. People love to wear vibrant colors, especially on the beach. But most men didn’t wear pink swim shorts. However, now that it’s common all around the world we see a rising demand for the pink swim shorts. And it’s not just cheap colored shorts from any H&M store either. Many high end fashion designers are following the trend and are now designing their own take on the pink swim shorts for men. However, these designers usually charge ridiculous amounts for their shorts. So even if you like them there is no way you’d spend 1000 dollars on a pair of swim shorts. Try to find yourself something in the mid range. Here you can find great designs and high quality that doesn’t ruin your budget. The most important part is that you find a pair of swim shorts that you a comfortable in.